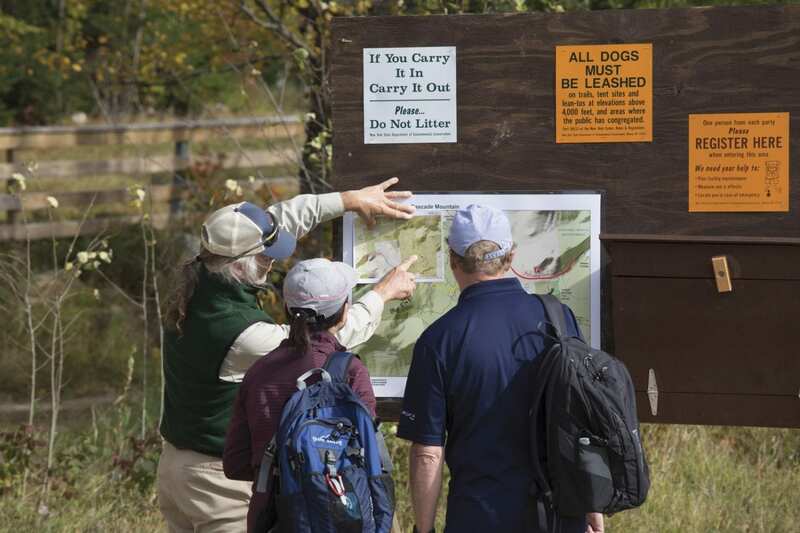 Portable toilets have been placed at several trailheads along Route 73, including Cascade Mountain, starting in 2016 by the Ausable River Association. 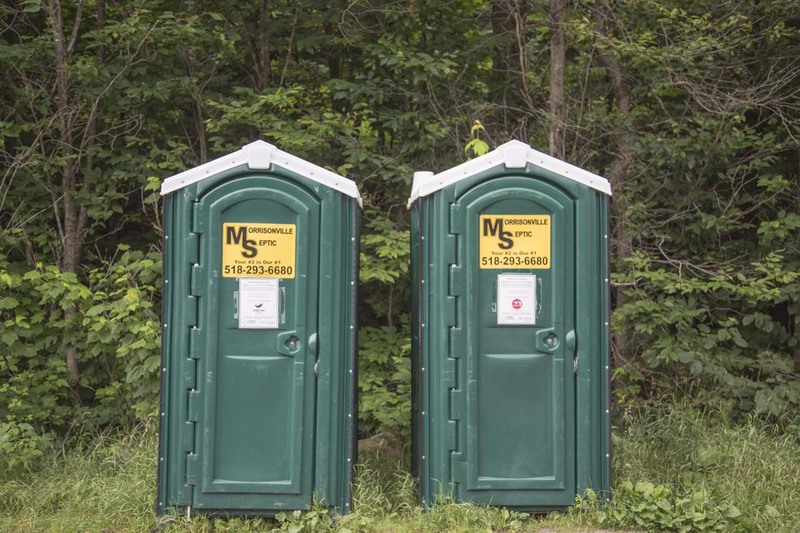 DEC says more portable toilets will be placed along state Route 73. 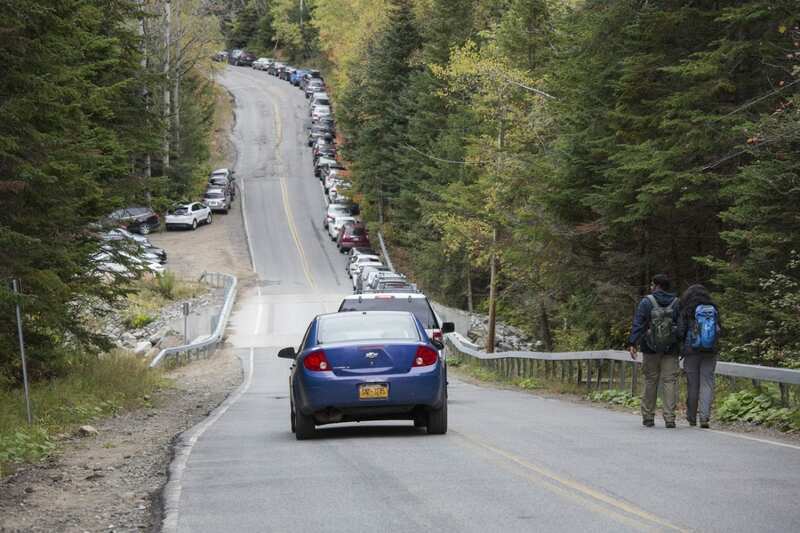 Cars line Adirondack Loj Road on a busy fall weekend. 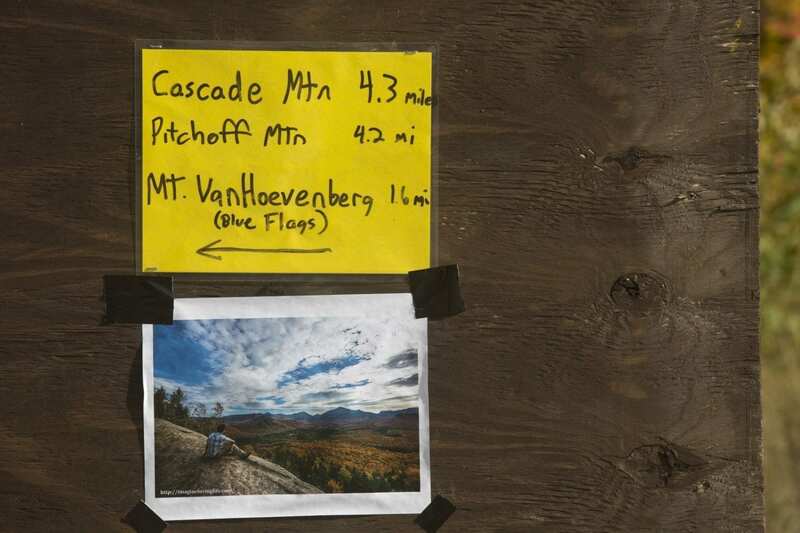 DEC established a temporary trailhead at Mount Van Hoevenberg for Cascade Mountain during Columbus Day weekend in 2017. Ron Konowitz, a trailhead steward for the Adirondack 46ers, gives advice during Columbus Day weekend in 2017. 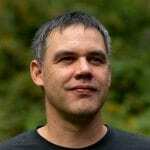 Hikers are being encouraged to hike peaks other than popular ones. 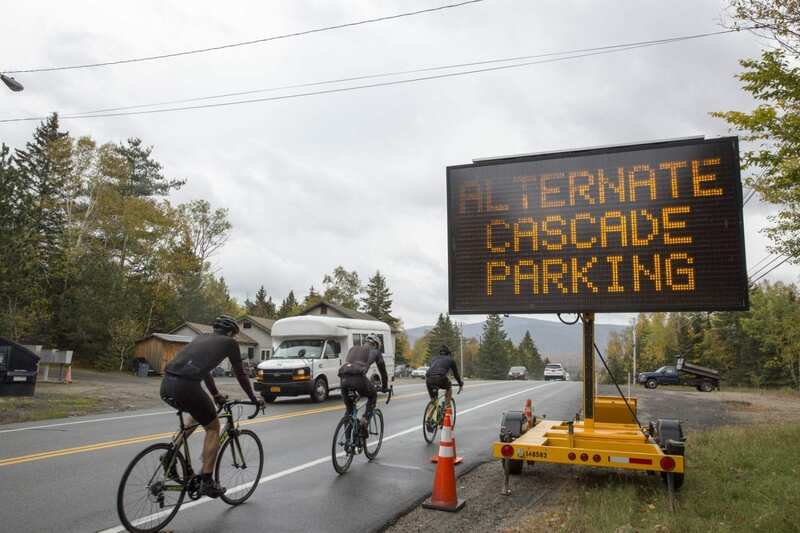 Cones were set up along state Route 73 to restrict parking at the Cascade Mountain trailhead last Columbus Day weekend. The state announced several initiatives today to address issues related to overuse in the High Peaks. 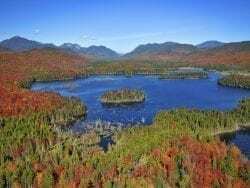 The High Peaks, Dix, Giant and Hurricane Wildernesses, Baxter Mountain, and the Saranac Lake 6’er peaks are attracting an unprecedented number of users, according to the state Department of Environmental Conservation. 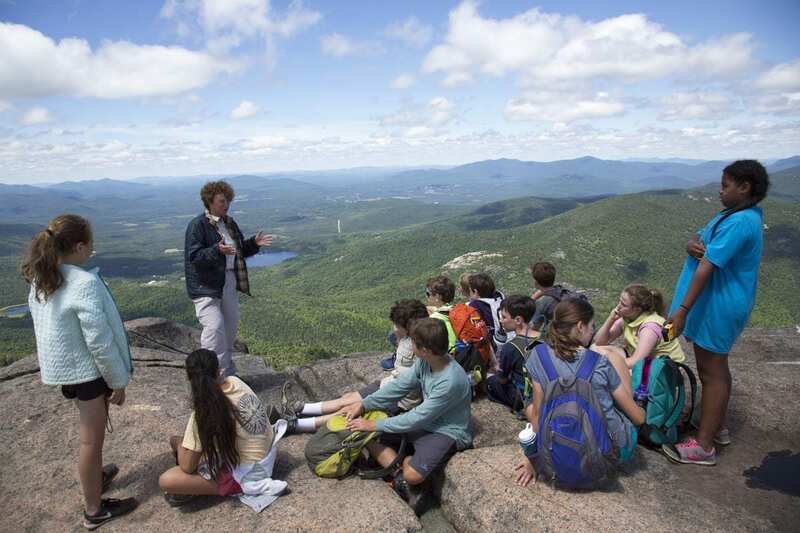 The increase in hikers, climbers and campers has resulted in dangerous driving conditions along the state Route 73 corridor from Chapel Pond to Cascade Mountain during peak days in the summer and fall. That’s because parking lots overflow and people park alongside the state highway. In addition, trails have become eroded, garbage has increased in some places, and search-and-rescue missions have gone up dramatically. 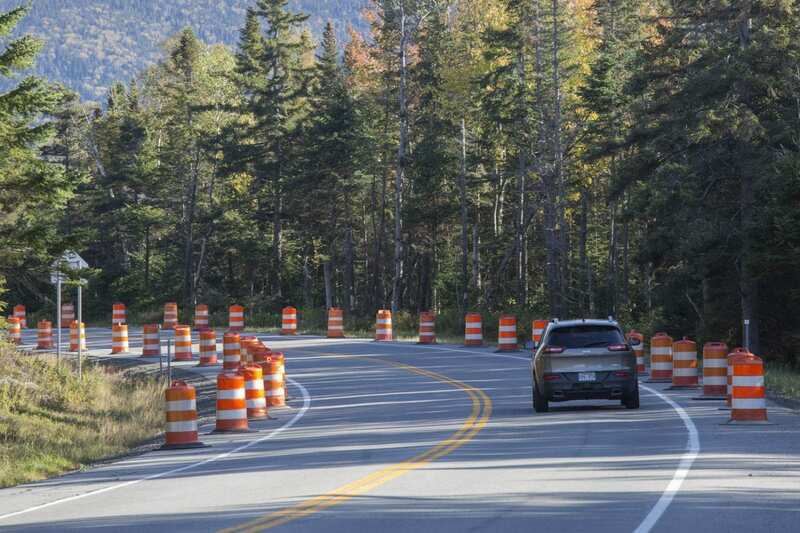 In an attempt to improve safety on Route 73 and decrease the impact on natural resources, the state has decided to take several actions. 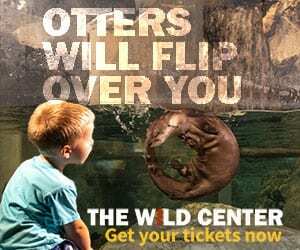 These actions are the result of four focus group meetings held this past winter to generate ideas and information, according to the state Department of Environmental Conservation. The meetings were held in partnership with the towns of Keene and North Elba and involved a wide range of stakeholders. Actions will be implemented over the next two years. In addition, by the end of July, roadside parking will be prohibited in areas around parking spots and along the roadside in certain areas adjacent to roadside parking lots when necessary to improve line of sight for drivers. 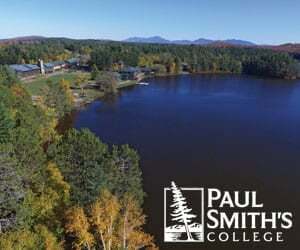 Limiting parking is an issue that has been criticized by members of the public, including climbers who are concerned about losing access to places such as Chapel Pond. 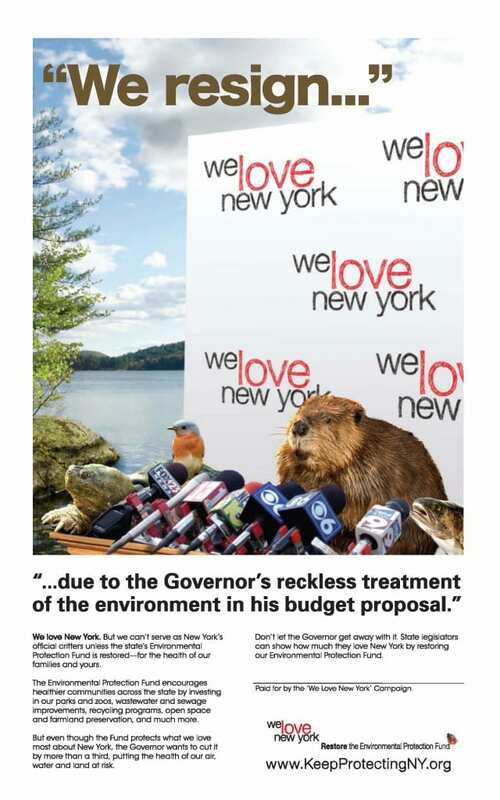 “The New York State Police will be working together with the Department of Environmental Conservation on the overuse issues on the Route 73 corridor. Troopers will be patrolling the area to ensure motorists are obeying the parking restrictions. Those who are not in compliance may be ticketed or their vehicles may be towed,” said state police Major John Tibbitts in a press release. Pending approval of the High Peaks Wilderness complex amendment, DEC will construct a new, designed trail up Mt. 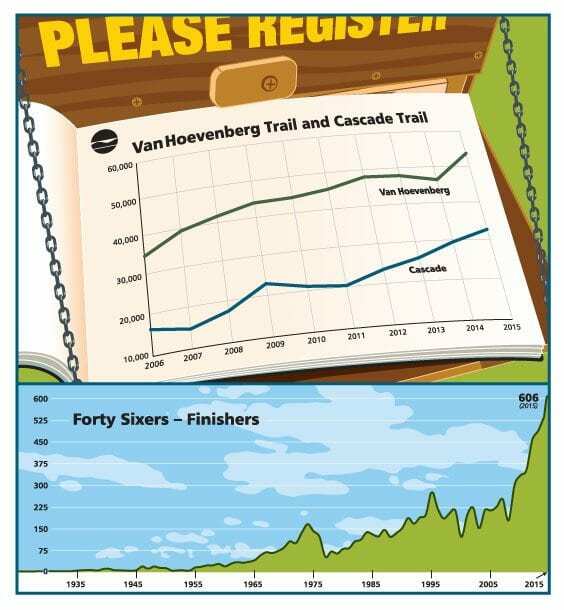 Van Hoevenberg from the new trailhead in time to open Columbus Day weekend 2018. In anticipation of Columbus Day weekend, DEC is working with partners to develop a plan to pilot a shuttle bus at the Mt. Van Hoevenberg Olympic Sports Complex. Pending approval of the High Peaks Wilderness Complex Amendment, DEC will permanently move the Cascade Mountain Trailhead to ORDA’s Olympic Sports Complex and construct a new, sustainably designed trail up Cascade Mountain from the new trailhead, which is expected to be open in 2019. A traffic study will be initiated to assess traffic patterns and usage of major travel corridors. This summer, new volunteer campground ambassadors will distribute messages that encourage proper planning, preparation, and practices which facilitate safe, enjoyable, and low-impact outdoor recreation. DEC is also working with partners to expand the presence of trailhead stewards; develop additional digital technology to assist the public in trip planning; and facilitate a voluntary dispersal of the recreating public by highlighting alternative recreation opportunities.